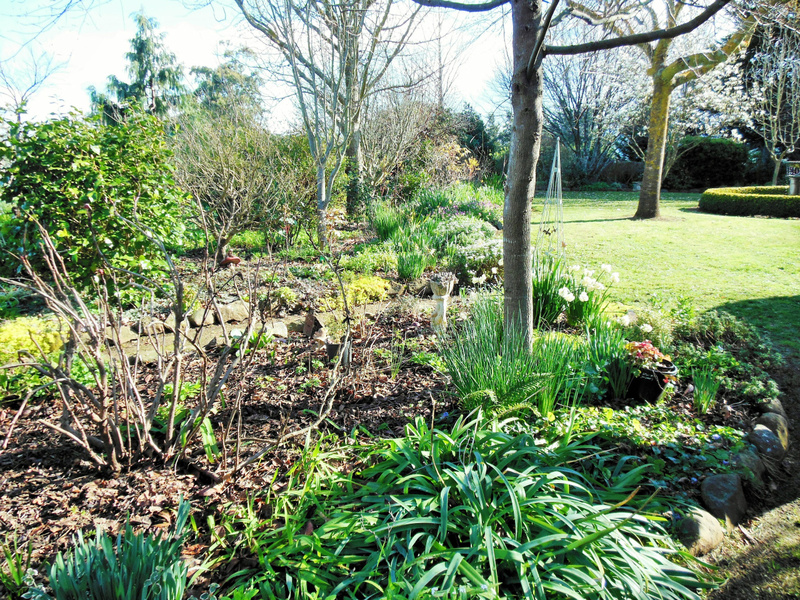 An enjoyable day with the weather much better than officially forecast. 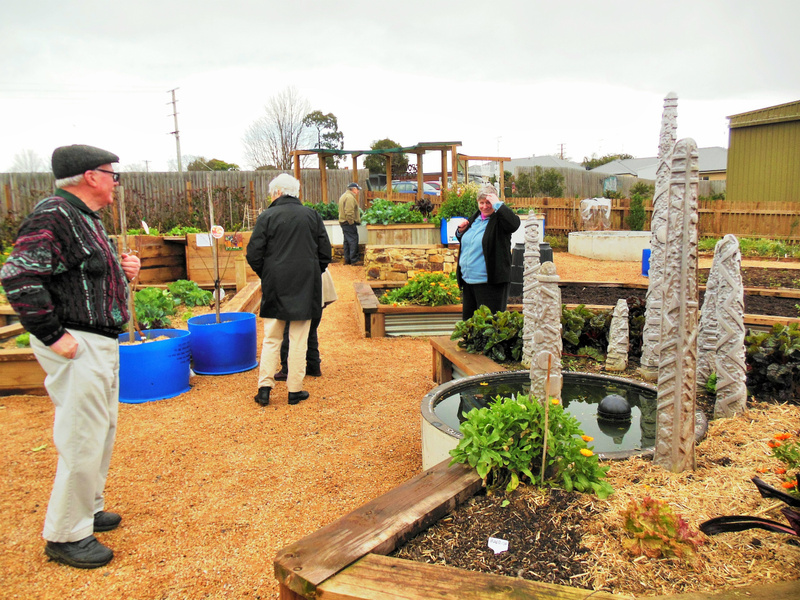 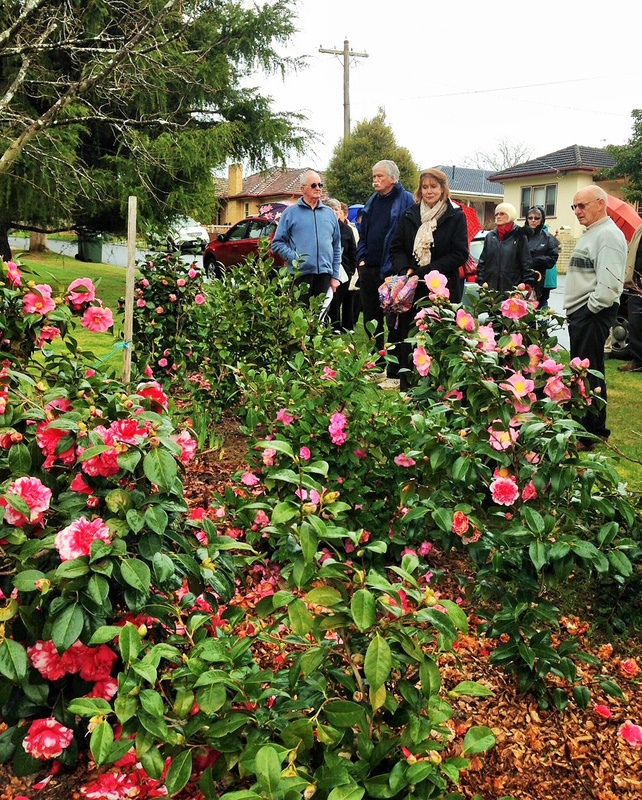 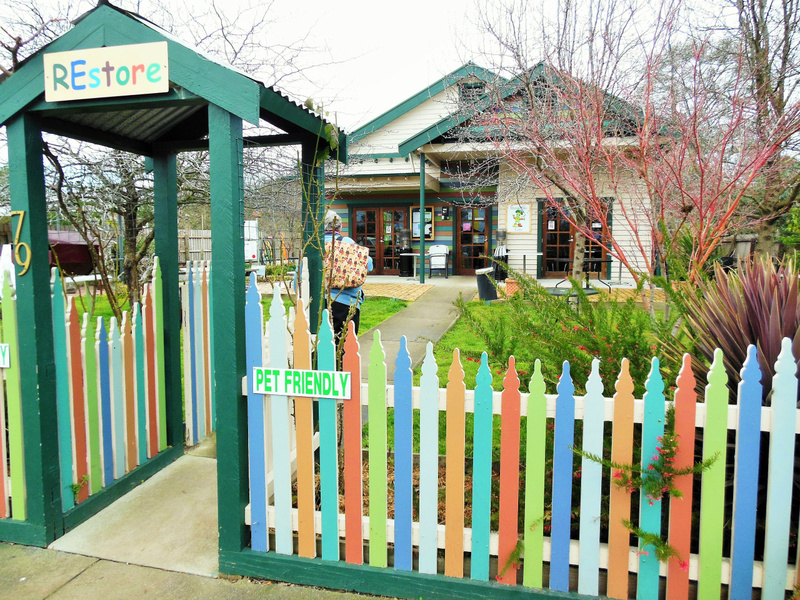 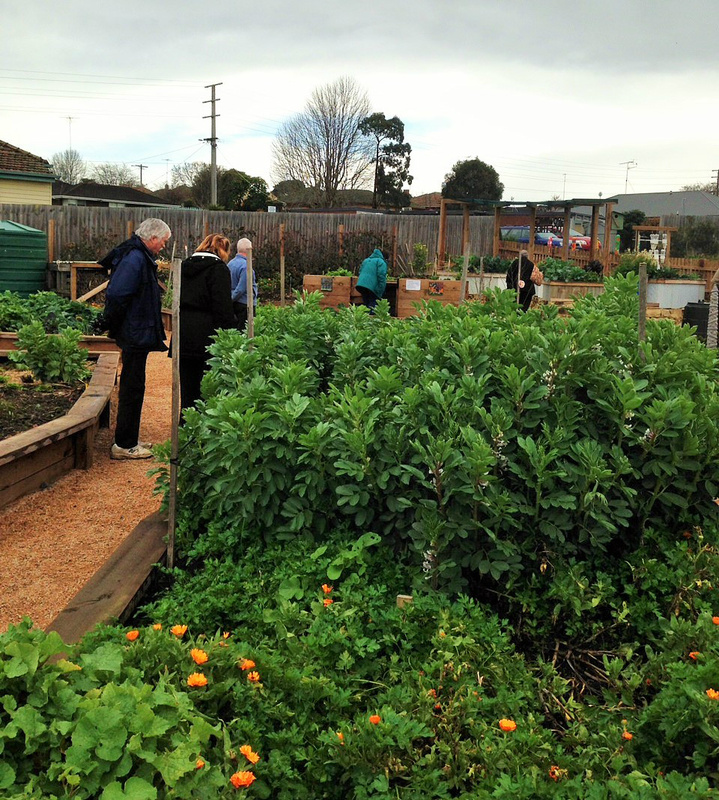 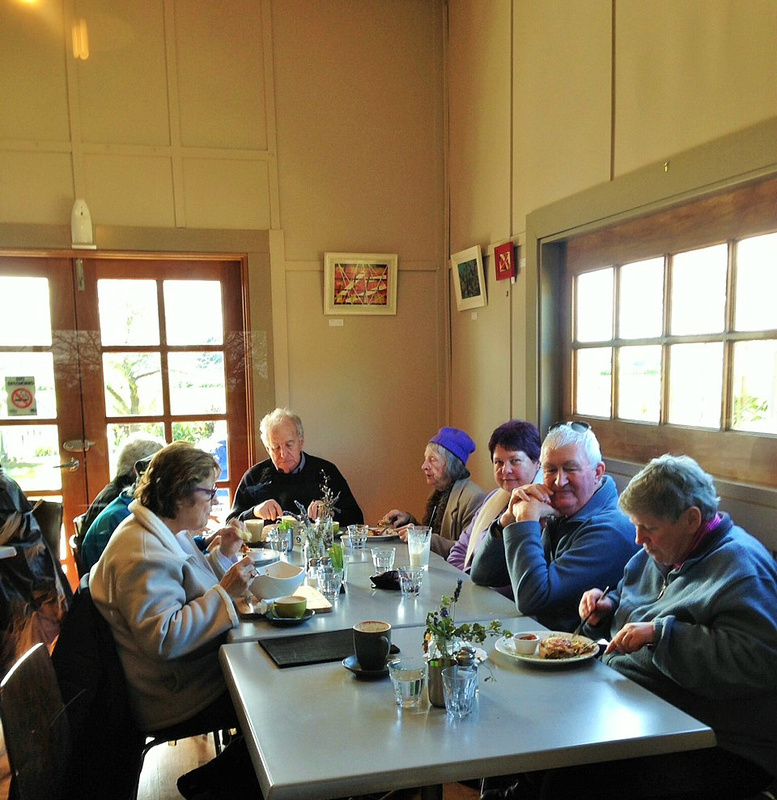 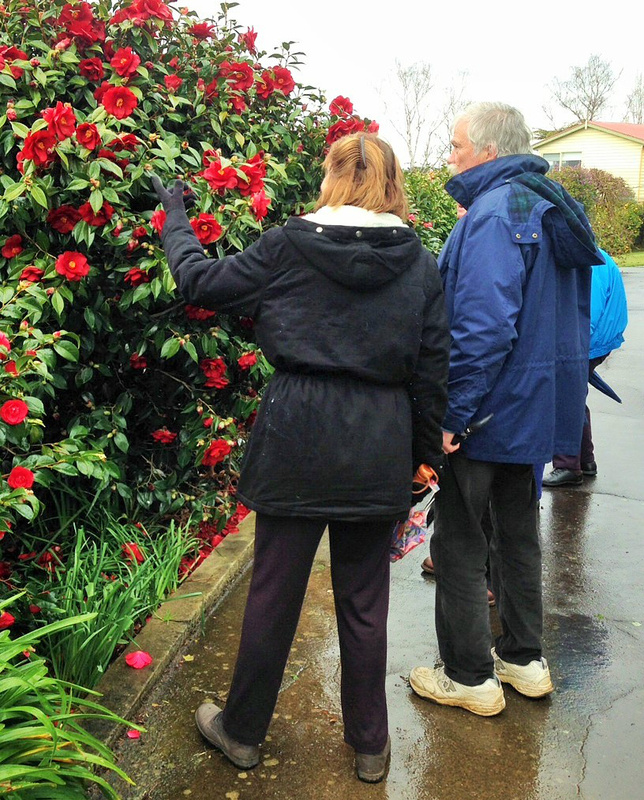 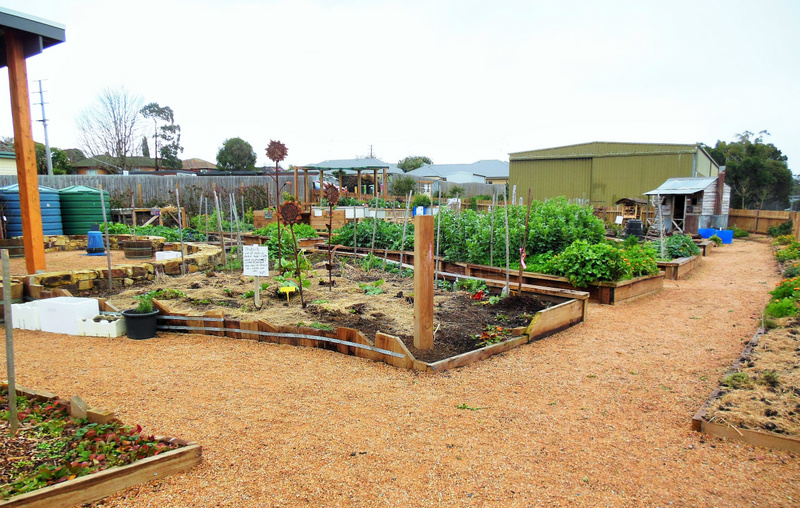 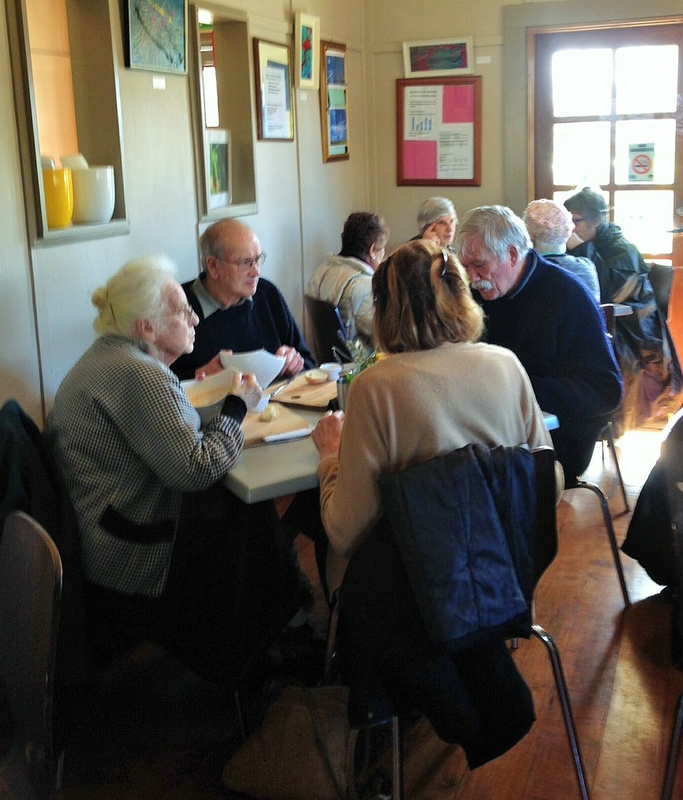 Visits to gardens owned by members of the Camellia Society, a quick visit to the Warragul Community Garden and lunch at the FozzyGobble Cafe attached to the Baw Baw Sustainability Garden in Yarragon. 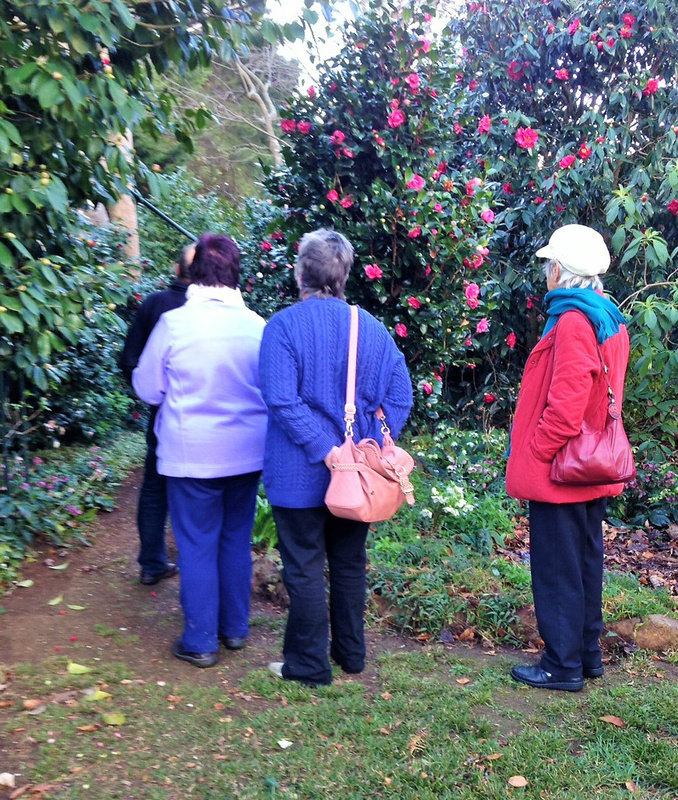 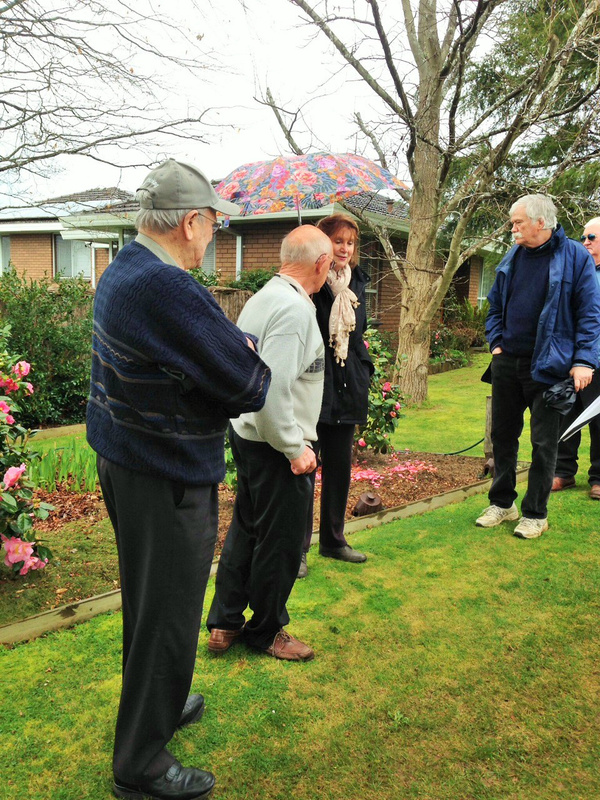 The morning visit was to the home garden of Neil & Jean Saltmarsh in Warragul. 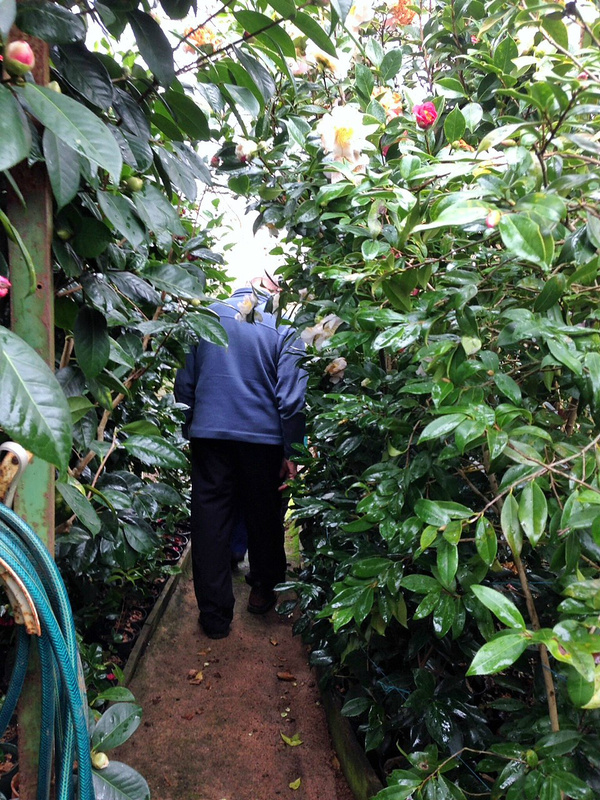 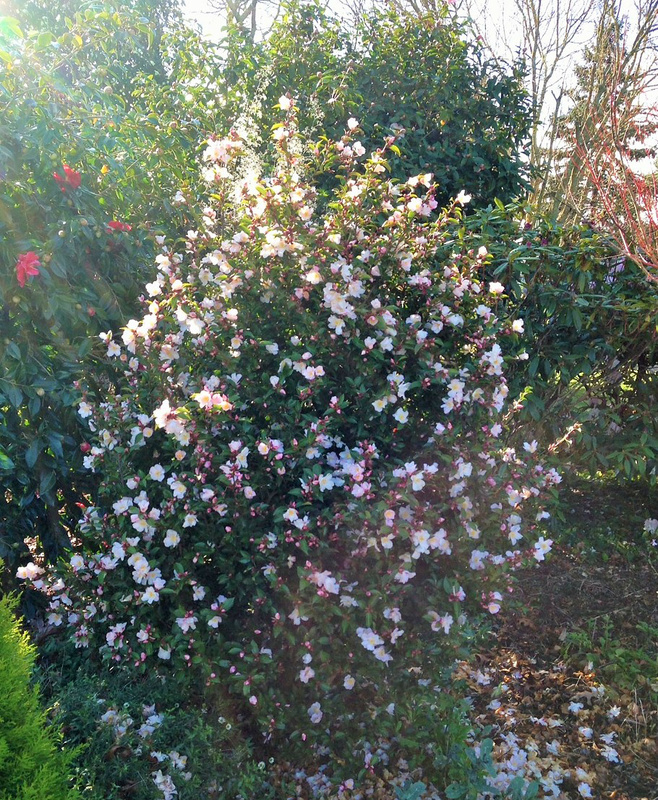 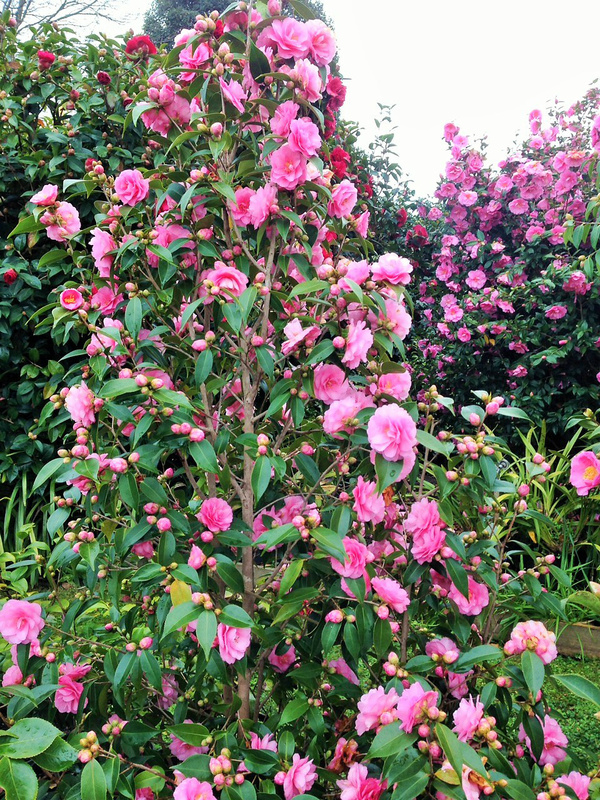 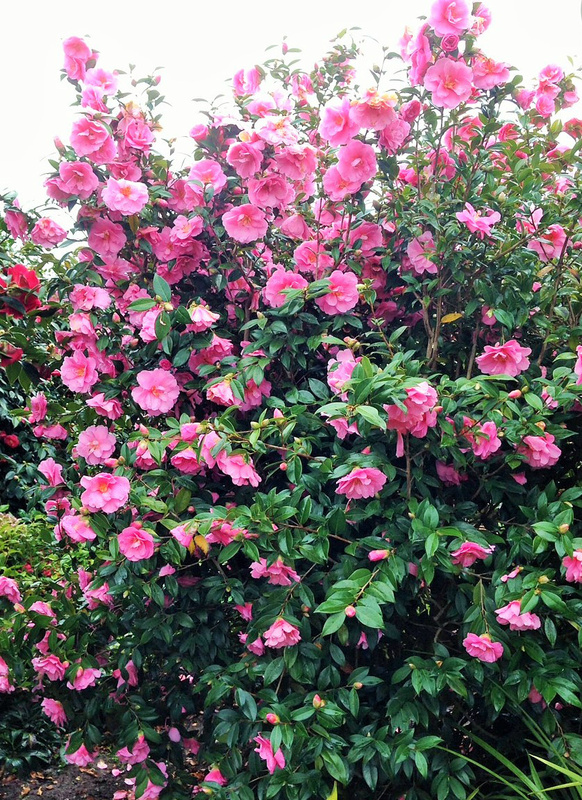 Members had many mature Camellias to inspect with Neil explaining how to strike cuttings, graft onto rootstock and how he produces seedlings in the hope he can produce a new registerable variety. 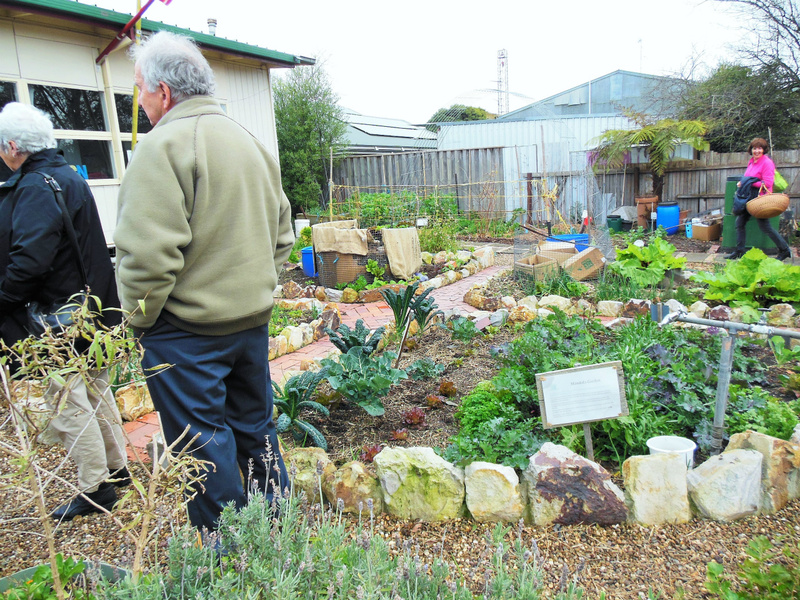 The Fozzy Gobble cafe provided a good meal with plenty to see of the Sustainability garden behind the Cafe. 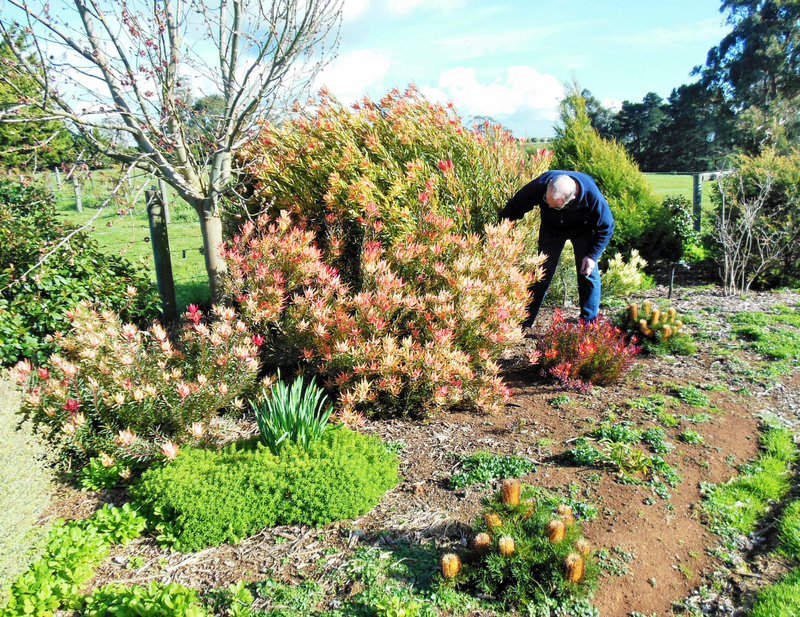 Then we travelled to Neerim East to the 2 acre Garden of Lyn & Jim Rochford. 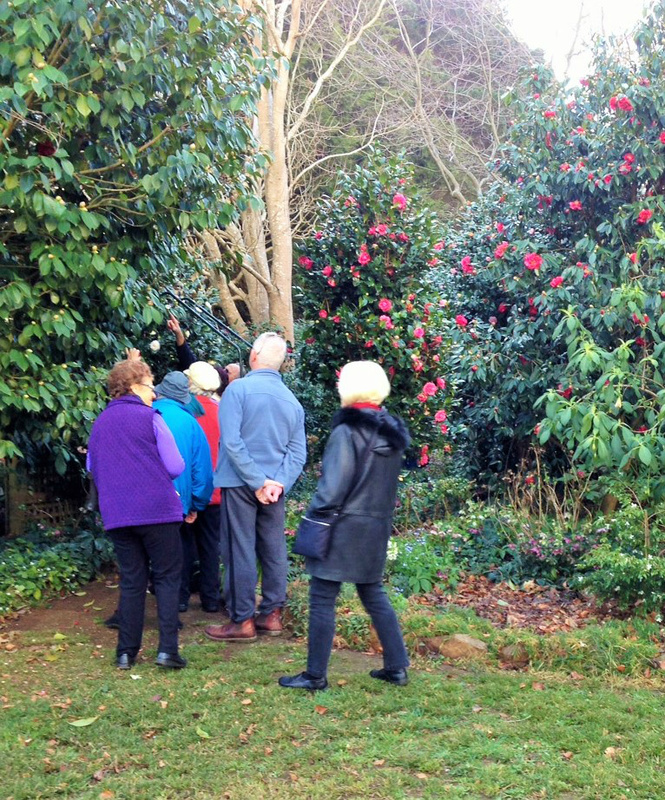 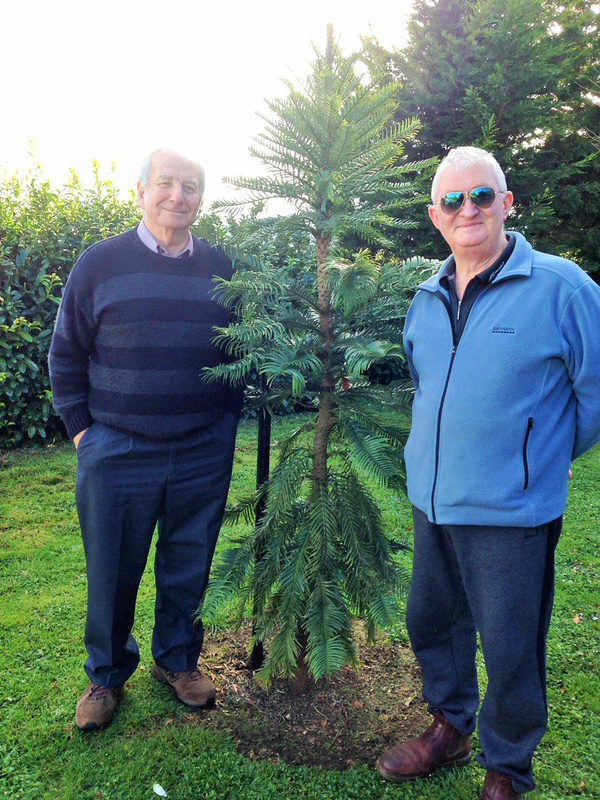 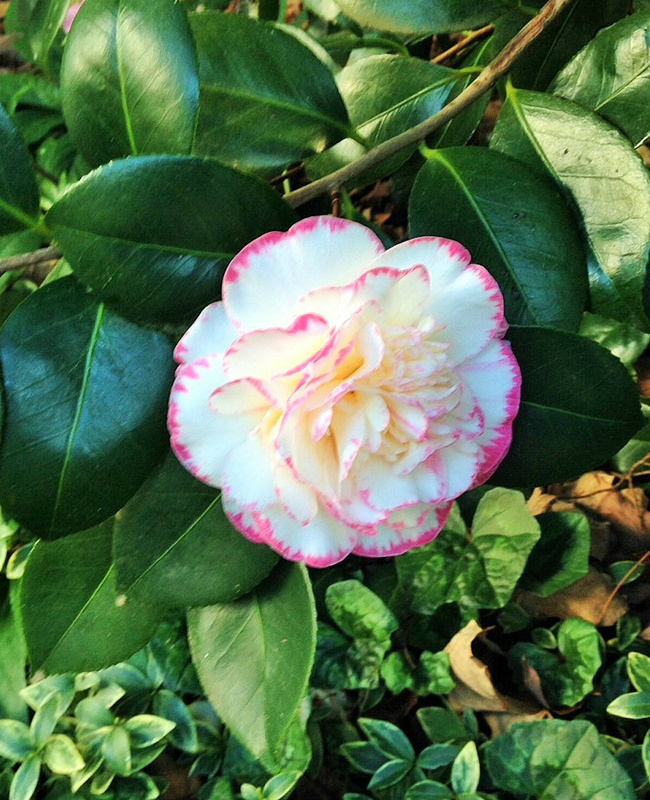 They had previously talked to a club meeting and had many examples of various types of Cmellias and for that matter many other plant species in their garden. 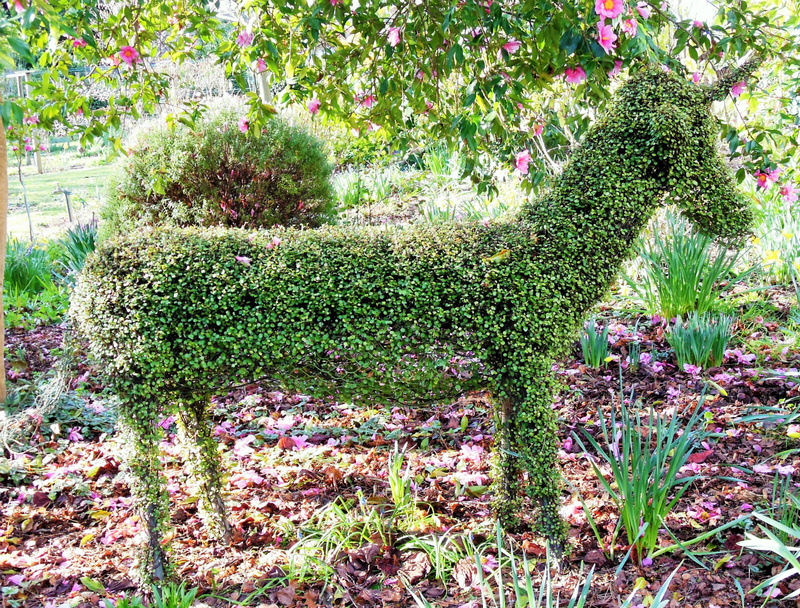 There's a Unicorn in the Garden!